the teardown of a bathroom. As is often the case, a home’s hidden secrets are revealed in the teardown process of a renovation. “While doing a renovation in Pickering recently, we uncovered a case of black mould,” says Monarch Kitchen & Bath Centre president Neil Samson. 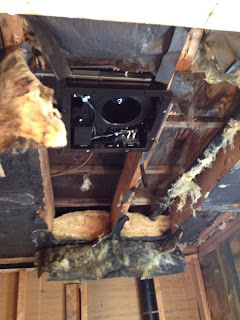 The bathroom ceiling pictured here shows a fan that was not ducted to the outside for more than 30 years. Unfortunately, this is not an uncommon occurrence in some of the older homes in this area. As a result of the poor ventilation in this bathroom, black mould developed. 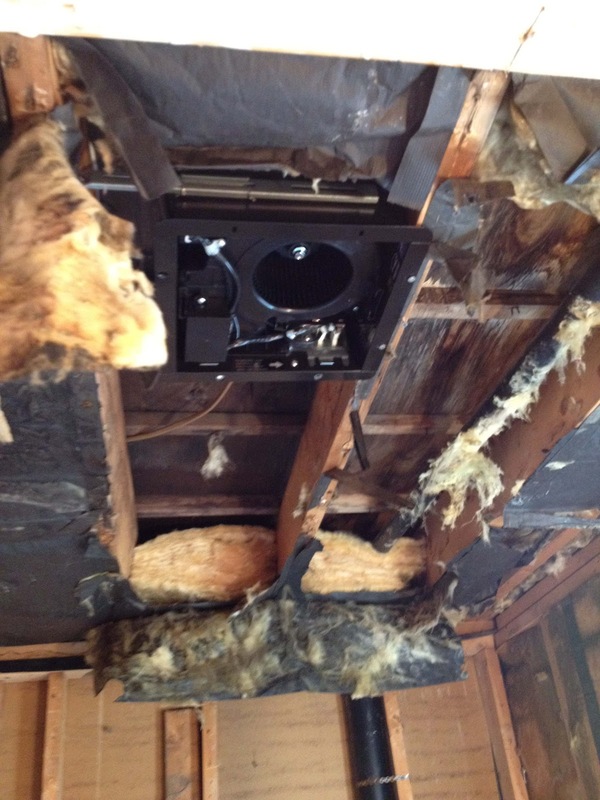 Fortunately for this homeowner, the Monarch team has had formal training on mould abatement and immediately took the appropriate measures to make the home safe, healthy and stress-free.